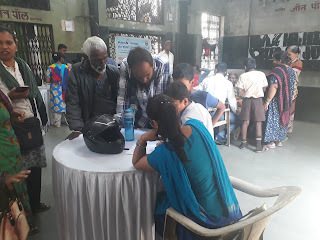 Koregaon Park (Pune), 5-April-2019: The Don Bosco Development Society (DBDS), Pune organized a free eye check-up camp for the residents of Mother Teresa Nagar slum in Pune. 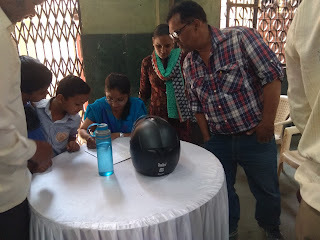 The eye check-up camp was held under the aegis of ‘women empowerment project’ supported by Manos Unidas, Spain. 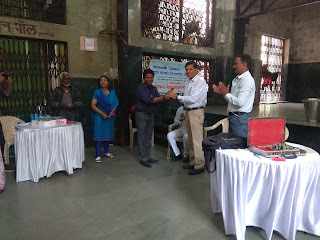 The eye camp started at 10.00 am and concluded at 2.00 pm. 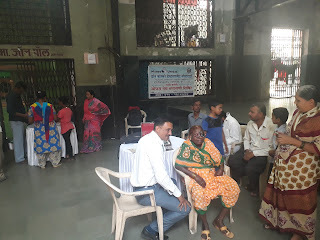 Dr Ranaware and Dr. Amol examined 173 patients. 12 patients were diagnosed with Cataract and were referred to hospital for Cataract surgery. 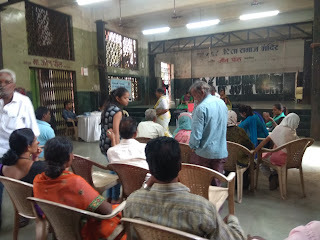 27 patients were diagnosed with low eyesight and spectacles were distributed to them at very nominal charges. The staff will keep a follow-up with the Cataract patients referred to hospital. DBDS staff made the necessary arrangements for the camp.